If the new government could not muster the confidence in the Parliament, it will be detrimental to the President. It will be a proof that he has violated the Constitution intentionally. ( October 29, 2018, Colombo, Sri Lanka Guardian) Sri Lanka has experienced a constitutional or rather unconstitutional takeover of the Government. A similar incident happened in 2003 when Wickremesinghe was the Prime Minister where President Kumaratunga took over three ministries of the Government. However Kumaratunga was acting constitutionally when she did so. With the introduction of the 19th Amendment to the Constitution, the same thing cannot be said now. Article 42(4) states that the President shall appoint as Prime Minister the Member of Parliament, who, in the President’s opinion, is most likely to command the confidence of Parliament. In the letter addressed to the PM, the President said that he has appointed him the PM as per the Article 42(4) and he had removed PM from his post according to the powers vested to him according to the Constitution. In the removal letter he has mentioned the Article under which the PM was appointed but carefully avoided to state under which Article the PM was removed. In response to this PM said that he was constitutionally appointed Prime Minister and he command the confidence of the Parliament as contemplated in Article 42(4). When interpreting Article 46(4) the President’s opinion cannot be based on his personal opinion or the figures given by his advisors that so many members of UNP would cross over but his opinion should be constitutional, which means the person who would command the confidence of the Parliament would be the leader of the party which represents the majority members of the Parliament. If the President was confident that there would be crossovers from the UNP, he could have followed the constitutional way which means to bring a no confidence movement against the PM in the Parliament. Once he is defeated the President could have appointed a new PM. He has not taken that path but has taken a sudden move to remove the PM and prorogued the Parliament till 16 November. By proroguing Parliament he deprived the right of the PM to show that he has the confidence of the Parliament. The President is taking time to get the support of the members of the Parliament. Article 42(4) says “who, in the President’s opinion, is most likely to command the confidence of Parliament.” It is who is likely to command the confidence of the Parliament and not who would be. Prorogue of the Parliament proves that the President at present is not prepared to test his opinion. If he thinks that in future he can get his opinion justified in the Parliament, his move is unconstitutional. Soon after the 2015 presidential election there was a surge of UPFA members of Parliament towards the UNP. Breaking the practice hitherto followed, they were not accommodated in the UNP but they were taken to the Government as they were based on the principles outlined in the election manifesto. These principles were outlined with the intention of finding out a lasting solution to the ethnic problem faced by the country. This Government failed to meet those aspirations, making a lot of people disappointed and as a result those principles also would be reversed and there would be a tendency to surge the MPs of the UNP towards the UPFA. With two UNP members, Senanayake and Aluthgamage, defecting and getting the support of a sole EPDP MP, the UPFA needs additional support of 15 more members at the time of writing. The JVP declared that it would not support any party. The TNA also will not support the UPFA. It was reported that the SLMC and ACMC would stand with the UNP. Therefore the President expects the defection of UNP members. Power of the new government will be used for that. If the new government could not muster the confidence in the Parliament, it will be detrimental to the President. It will be a proof that he has violated the Constitution intentionally. It would be a valid ground to bring an impeachment motion against him, although it is unlikely to impeach him since a two-thirds majority of the Parliament is needed for that. The President apparently thinks that the people’s power based on the last Local Government elections is behind his move. The Unity Government has taken several steps towards reestablishing democracy in the country. The reverse is quite evident given what happened at Rupavahini soon after the swearing in ceremony of Rajapaksa. In 2003 as well as 2018 what happened was a launch of a movement against liberalist policies. Having considered the present situation of the country, on the economic front, policies such as entering into bilateral trade agreements are the best. However it seems to be that most of the people prefer protectionist policies and they think that those are nationalistic policies, which are not. Most of the influential people have vested interests when they talk about national policies. However they may not mind to have liberal policies with a nationalist outlook. That may be the reason for not having any protest against selling land and reclaimed land to Chinese by the previous Government. There is an argument that after the UPFA withdrawing from the Unity Government, the President can appoint a fresh PM and a cabinet of ministers. The sequence of events proves that the President was taking that path. However he should act under explicitly elaborated Articles of the Constitution discussed above. The political issues behind this move were well known to the country. The two stalwarts of the Yahapalana Government did not see eye-to-eye on many an issue. 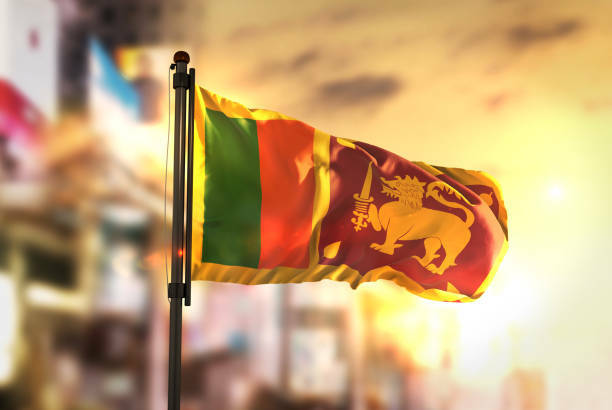 It was reported that the President interpreted recent incidents related to India as an attempt of the UNP to create a rift between him and India. Rajapaksa would be happy if the judicial processes initiated against his close associates could be stalled. These two requirements would have got together to have the present outcome. It is ironical that a person who pledged to abolish the executive presidency is using executive powers visibly in an ultra vires manner.